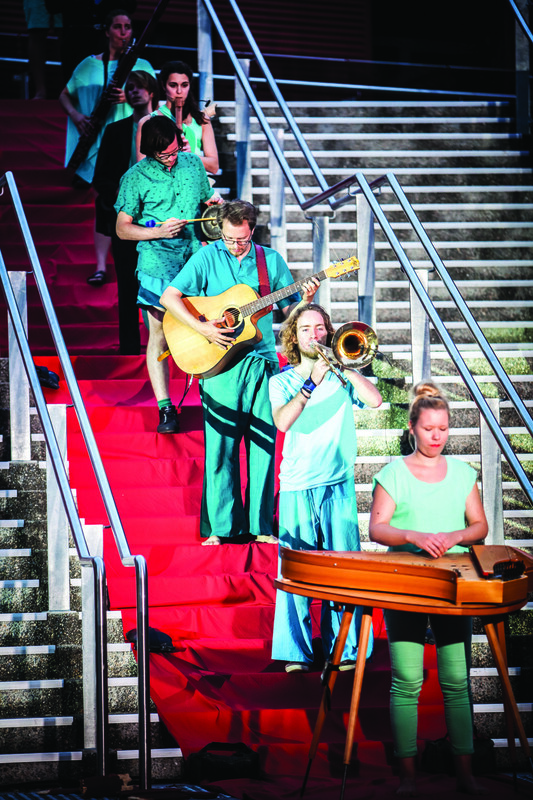 Brisbane, Australia was the venue for a most interesting and exciting assembly of musicians from November 21 – 24, 2013. 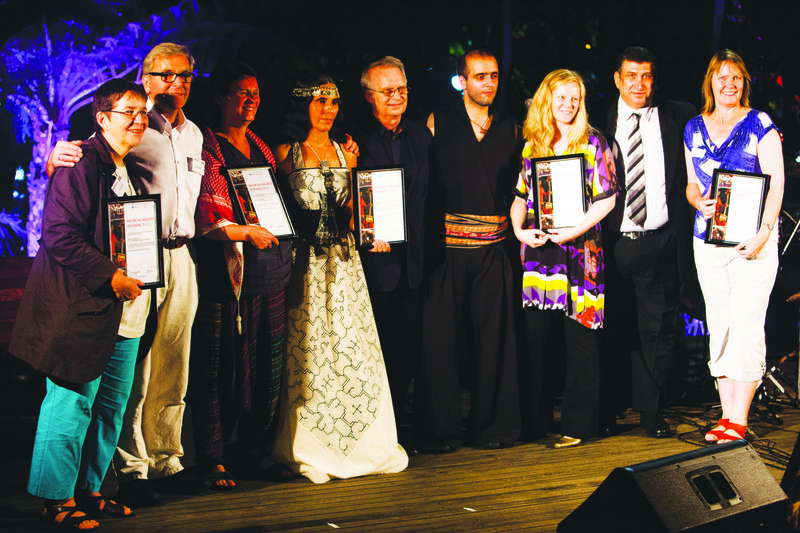 The occasion was the International Music Council’s 5th World Forum on Music. The organisers were keen to point out that this was not a conference, with all that that implies, but an opportunity for representatives from music organisations, and individual musicians, to engage in dialogue and share ideas. While the nature of the event was based around interaction and engagement, each World Forum concludes with the drafting of statement of intent or of advocacy. 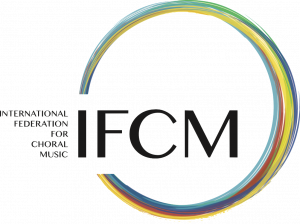 The Brisbane Declaration is the outcome of this Forum and will be available from the International Music Council in due course. Another fascinating feature of this event, and very reflective of the philosophy that underpinned all the planning, was 1001 Voices. The IMC invited people to submit a video of no more than five minutes sharing their thoughts about musical futures. Many of these can still be accessed on the IMC website (where you can also see photos of the event) including the offering by choral legend Helmut Rilling. The International Music Council is to be commended on the importance it places on young musicians, most obviously acknowledged through the existence of an IMC Youth Committee. A Forum such as this is, by its very nature, ultimately about the future of music, and about music in the future, and philosophically there is no alternative but to ensure that Experience and Youth meet together in such discussion and interaction. The International Federation of Choral Music had a visible presence at the Forum in the persons of IFCM Vice-President Stephen Leek and Sonja Greiner, former IMC Treasurer (and Secretary General of ECA-EC, an IFCM founding member organisation). Choral music had an overt place in the Forum. The first afternoon included two sessions titled “Connecting Choral Communities”. In the first session, chaired by Sonya Greiner, Stephen Leek in characteristic style engaged all attendees in a choral experience, developing community through singing. Ify Ebosie presented a fascinating overview of some of her work in Nigeria where the Annual Festival of Nigerian Choirs (AFNC) creates choral events which bring together racially and socially diverse choral groups, creating a context for peaceful cooperation. A DVD, Seriously Singing, which focused on one moment in 1951 when students from a remote Australian school successfully trained for a choral competition, and the impact of that moment on the lives of many of the participants. The second half of the afternoon involved the sharing of performances by three very diverse choral ensembles – Fusion (Debra Shearer-Dirié), who many of your will hear at the World Symposium on Choral Music in South Korea this year, the Brisbane Chamber Choir (Graeme Morton) and Vintage Voices (Debra Shearer-Dirié). Who in the Choral community will be surprised to hear that in spite of significant differences between these ensembles and their singers with regard to experience and ability, and in musical aesthetic, the opportunity to share and engage in choral music was one that enlivened all who participated. Brisbane’s “young guns” of choral music were thrilled at the enthusiasm and commitment of the (very) senior citizens of Vintage Voices, who in turn were delighted and excited by the rather esoteric performances by their young counterparts? This was Experience and Youth interaction in action. This was connecting choral communities. While this afternoon was the only designated choral time in the Forum, a look at the five concurrent strands shows that discussion in every one of those areas is vitally relevant to choral music, and it was important for IFCM to have a presence at this Forum, and for choral musicians generally to interact with ideas in all these strands. The choral community must see itself as part of the wider music community. It was noted that there were no choral performances in the full forum Performance Program. Of the perhaps dozen or so performing groups (not including informal foyer performances), apart from Australian singer, Katie Noonan, all were instrumental. This may reflect the natural bias of the institution that hosted the forum, but perhaps also the general community attitude that choral music, perhaps like jazz, sits beside the “true musical arts” rather than in them. And while one of the great things about choral music is that it embraces such a diversity of technical standards, aesthetic styles and cultural traditions, and therefore it is truly about Community, perhaps there is a danger that too often choral music gets perceived only as “community music” rather than as Artmusic (of course, it is both). Other musicians often think, I feel, that the choral score allows people to be in community, whereas choral musicians hopefully also think that the community is what allows the realization of the choral score. These two views of the choral process are concurrent, and are subtlety but significantly different. That said, the Brisbane Declaration makes reference to the need to acknowledge that music is more than just that at the “lowest common denominator”. Another area of reflection for me concerned the area of Musical Futures. It is not surprising that there was an element of concern noted in much of this discussion. Reflecting on our art form, I note that choral music by its very nature is not as vulnerable as are the “instrument based” non-popular music forms. Some themes that emerged in the conversations were (1) the increasing role of collaboration between artists and organizations, (2) the need to look forward to embrace new and exciting possibilities (3) an acknowledgement that musicians still need to specialize in particular styles – time does not permit the development of excellence in a multiplicity of styles (4) that while Arts exists to serve people, the converse is also true – that people also can have a role and responsibility to serve (preserve) the Art. The discussion of creator’s rights was also engaging and it was interesting to note the increasing awareness of the rights of traditional creators, and of communities of creators (as found in traditional music). Australia’s soon-to-be-declared new laws appear to acknowledge this, and most of the panel made this an aspect of their discussion. This includes (very relevant for choral music) how to “manage” those who take material owned by traditional owners and arrange it in some way and then copyright the arrangement. Another pertinent aspect of the discussion related to “free” sources of music, particularly Facebook. A video was shown that was part of a campaign in Europe to increase awareness of copyright. 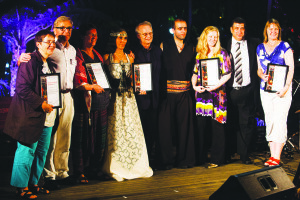 The IMC has previously adopted Five Musical Rights, which also became a focus for discussion. These rights have been formulated from various Human Rights statements from the United Nations. As choral musicians it is interesting to reflect on the applicability of these rights specifically to the choral context. Such reflection inevitably leads on to music education, and again it is easy to focus on some significant negatives across the globe. The session on Advocacy for Music Education included Switzerland as a case study where the constitution allows for individuals and interest groups to respond to laws or indeed to generate laws. Recently over 70% of the population voted to have added to the constitution the right of all students to receive a music education. Of course the exciting challenge is the discussion as to what kind of musical education one would have, not just in Switzerland, but in all our communities. But whatever is decided, surely singing and choral music should have a place, and this is where we as choral musicians must always have a vital interest. We owe it to our communities and their futures to actively engage in such deliberation – we also owe it to our Artform and its future.